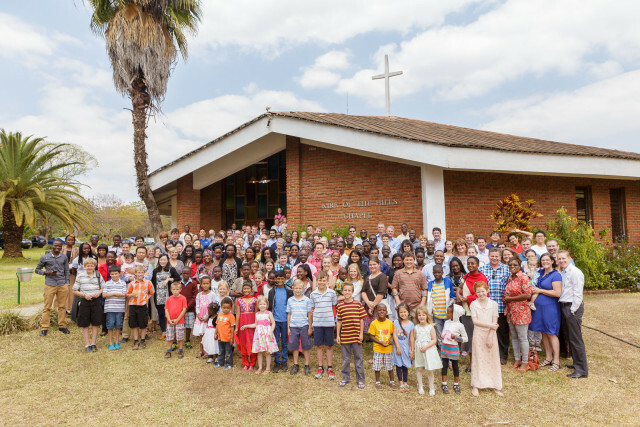 International Bible Fellowship (IBF) Church was started in Lilongwe, Malawi in 2002. The founders’ goal was to start a church where English-speakers could hear God’s Word preached and worship Him corporately. But for the first five years, IBF had no pastor, and the men of the congregation provided pulpit supply from week to week. In mid-2007, GMI missionaries Brian and Anita Biedebach moved to Malawi, and Brian became the full-time preaching pastor at International Bible Fellowship Church. The Lord has greatly blessed the ministry of the Biedebachs at IBF, and the church members are growing in many ways. With a growing church eager to learn the Word of God, Brian’s hands have been full. Brian and the elders at GMI realized the need for someone to come alongside Brian and assist him in ministry. In the amazing plan of God, Matt had interned for all of 2005 at a church in South Africa where Brian was the pastor. With Brian’s passion for preaching, Matt’s gifting in administration and discipleship, Rachel’s counseling background, and with the benefit of a strong friendship and experience in the field together, the details began unfolding. Matt became the Associate Pastor of IBF Church in May 2009. Our desire is to be involved in strengthening the church and training church leaders. Practically, that takes many forms of service, administration, teaching, counseling, and discipleship. God has given both of us a strong desire to be involved in serving within the local church, and we enjoy using our gifts to support the Lord’s work at International Bible Fellowship, and across Malawi. We are also grateful to under the care of our sending church, Grace Community Church. Read more about them here.